The Marvel Cinematic Universe continues to thrive as the most successful in cinema history, now with it's latest release as the sequel to 2015's Ant-Man. 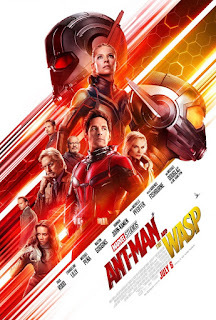 Paul Rudd returns to us once more in the lead role, this time alongside Evangeline Lilly as the secondary eponymous superhero Hope van Dyne/The Wasp, both of whom team up with van Dyne's father Hank Pym (Michael Douglas) in a plot to rescue her mother Janet (Michelle Pfeiffer) from the mysterious Quantum Realm. Ant-Man and the Wasp thankfully never tries to be too excessively dark or serious, instead giving us a laid back experience with some extremely funny moments portrayed well by it's strong cast. In spite of this, it occasionally has an extreme obsession with such humour, trying a little too hard with mediocre results. The best examples appear with supporting character Luis (Michael Pena), an old friend of Scott Lang, who largely serves a comic relief but in the end is naught but an irritating supporting role trying too hard to make the audience laugh. Some may find him appealing, who knows, but I certainly found him more annoying than anything; Pena does his best, it's just most of the content he's given that makes him irritating to watch. 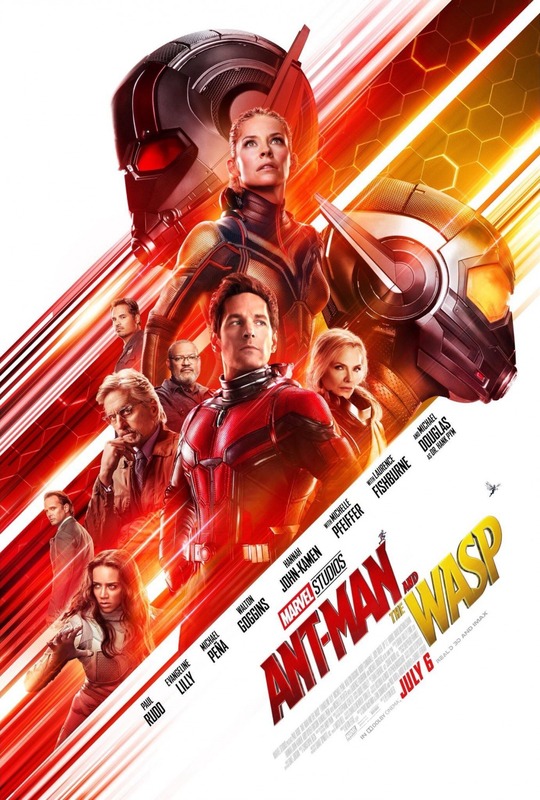 But that doesn't render the film bad throughout; Paul Rudd in the lead role does his best once more, delivering a witty and charming performance from start to finish, and our titular female hero Janet/The Wasp is helmed superbly by Michelle Pfeiffer and serves as an undoubtedly strong inspiration for badass female heroes in general. 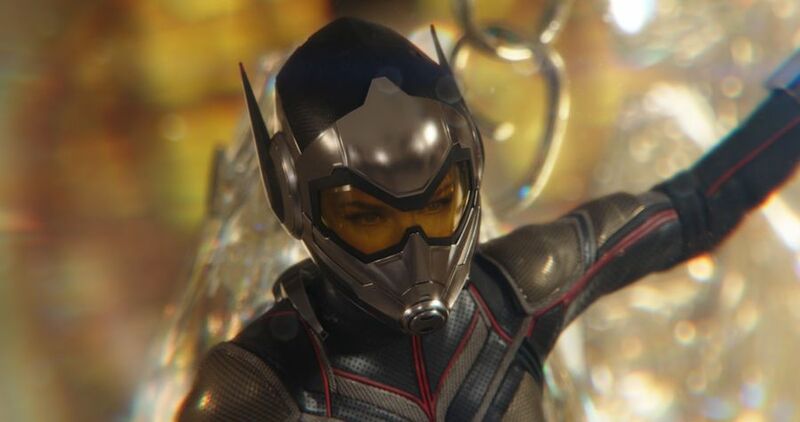 Both her and Ant-Man himself are involved in all manner of gripping set pieces that use the concept of size alterations to delivery genuine thrills but also genuine laughs, crafted through superb visual effects and thankfully never milking said size alteration concept too much - the film's climax is notably where said praise is most applicable. These lead roles are backed by a decent lineup of supporting performances, namely from Michael Douglas and Laurence Fishburne. Our central antagonist lies in the hands of Hannah John-Kamen, portraying Ava Starr, a female version of Marvel's lesser known villain the Ghost. Deformed by her exposure to the Quantum Realm, Starr finds herself left with all manner of powers that allow her to phase in and out of existence, albeit at the cost of extensive pain and suffering on her end. Though her development is a bit mediocre and occasionally filled with contrivances, Ava Starr remains a fairly entertaining and intimidating villain portrayed well by John-Kamen, and one definitely contributing to well to many of the film's gripping set pieces. All this combined makes Ant-Man and the Wasp and entertaining if somewhat forgettable superhero flick, one for audiences of various demographics to enjoy.